In film history John Huston is what’s known as a giant, enduring as one of the more recognizable names to have flourished behind the camera during Hollywood’s studio era. He was also one of the few classical directors to undergo a second creative wind throughout the wild New Hollywood ‘70s and even survived that period’s collapse to guide a few diverse productions into the age of the Spielbergian blockbuster. So a cowboy, an Indian and a horse share a house…sounds like the setup for a dirty joke, but it’s actually the basis for the unusual and fascinating 2009 Belgian production A Town Called Panic, a low-budget high-energy film employing toy figurines and an abundance of anarchic spirit to get at the root of something beautiful: the youthful imagination. George Barr McCutcheon’s comic novel of 1902 possesses next to nothing in the way of critical reputation, though in this case the lack of literary esteem gets easily usurped by the book’s stature as a pop culture warhorse; first adapted for Broadway in 1906 by Winchell Smith and Byron Ongley, in ‘51 McCutcheon’s story skipped over to Britain and became the stage musical Zip Goes a Million. Director Robert Altman’s first feature was the 1957 shoestring indie The Delinquents, a drive-in moneymaker filmed in his hometown of Kansas City, and his last was the 2006 movie adaptation of a radio program, A Prairie Home Companion. In the early ‘80s he hit a rather severe creative rough stretch, though gradually his artistic touch was regained as he enjoyed a late-career renaissance spanning over a decade. Henry Jerrod is a rare bird, a wax figure sculptor of aesthetic refinement and class, though maybe a wee bit eccentric. Desiring insurance money, his callous philistine business partner Matthew Burke burns down their museum with Jerrod trapped inside. Assumed dead, the sculptor survives but as a murderous wretch who repopulates his new museum with wax-coated corpses. 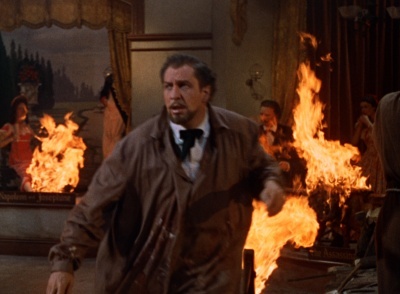 One yardstick of a film’s greatness is how well it survives repeat viewings. Carol Reed’s The Third Man is championed as a movie not only withstanding familiarity but actually improving upon multiple sittings. 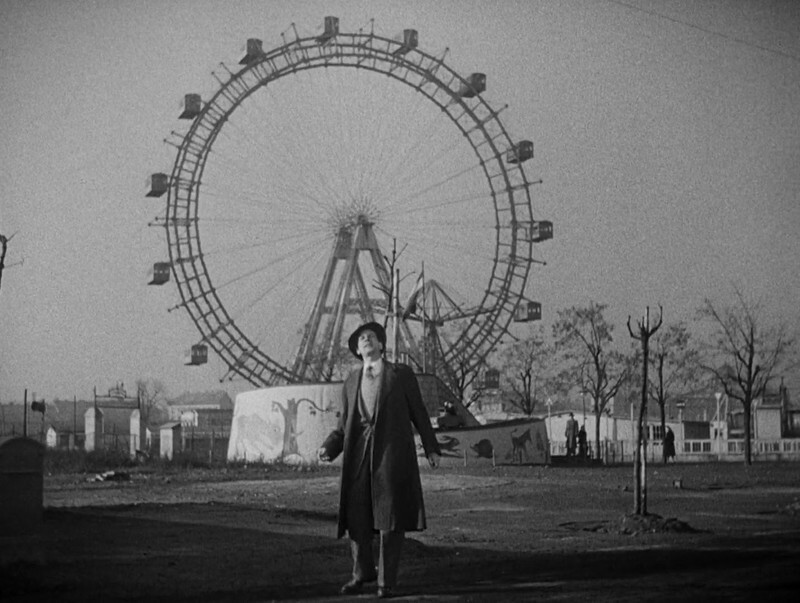 After a fourth time this writer remains in the chorus of those cherishing their return visits to the gargantuan Ferris wheel and labyrinthine sewer system of post-WWII Vienna, though on this engagement the abundance of assembled talent is frankly less impressive than the thrilling courting of failure through ambition. Set in military occupied Vienna shortly after WWII, 1949’s The Third Man stars Joseph Cotten as Holly Martins, a writer of pulp Westerns, who travels to the Austrian capital to visit his friend Harry Lime, played by Orson Welles, about an offer of a job. Once there, Martins learns of Lime’s recent death by speeding truck. Against the advice of British Army Police, Martins decides to stay in Vienna and begins to investigate the circumstances behind Lime’s vehicular demise. Unsurprisingly, intrigue follows.